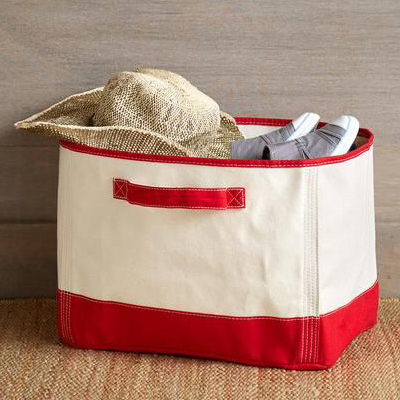 Made of the ultra-durable heavy cotton canvas that sailors have relied on for years, use these sturdy Red Seafarer Canvas Totes for storing anything you choose. $38. Buy here.